As many are experiencing in the world of digital disruption, the in-house data centre on your premises, be that a rack of servers or a roomful, are just not cutting it anymore. Companies under going mergers, acquisitions or looking to “head to the cloud” will face consolidation and shift mandates. 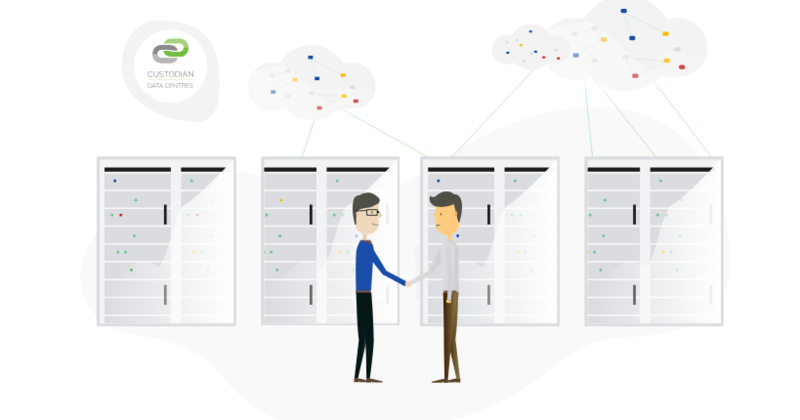 Moving IT equipment and workflows can be very time-consuming and costly, but ultimately, colocation and a hybrid cloud solutions will only benefit your business in the long-run. Racking and stacking between two sites obviously comes with some risk. Be sure you understand what it is you need to move before you do. Assess your infrastructure, truly understanding what it contains and what any challenges may be. A true IT transformation will need total transparency in all areas. Some of these questions will need answers: what happens when workloads go offline? Do we have have a powering up plan? Do I need new equipment? Do I have a full data collection migration plan? Question every area of your IT and make sure you have an answer for everything. Some items will go on the cloud and others will stay on physical infrastructure. All based upon your unique requirements, your new data centre must ultimately facilitate a hybrid environment. They must have access to multiple clouds with the solid foundations of secure, reliable and compliant colocation to secure your mission-critical, sensitive and legacy equipment. Build and ready a team to complete the physical transition or use third parties if needed. Aim to avoid interfering with the busier periods that the business finds itself in if downtime is a worry. Installation then means testing. Ensuring your servers and equipment racked in the correct positions, consuming the correct power and connectivity is necessary. Check off a list of all of your systems and applications to ensure they are running optimally. If for now you are simply colocating and not moving workloads into the cloud, then this will feel like an end to the initial migration. If you plan to immediately move stuff into the cloud, continual testing and documentation as part of your IT transformation must go on. These are some broad touchpoints of what a data centre migration takes. Transforming your IT and doing away with the server rooms is a business-defining project. At Custodian, we are by your side from initial enquiry, advising steps on migration and how we, as a leading UK data centre facility can facilitate your every need, be it colocation, cloud or network. Our team of experts are 24/7/365. 5 things to expect from Talking Tech!